Prolotherapy, also known as “proliferative therapy” is an innovative form of regenerative medicine that is paving the way in healing acute and chronic injuries, including debilitating joint pain. Prolotherapy is a cutting-edge joint pain treatment that can benefit people suffering from tendonitis, arthritis, bulging discs and soft tissue pain originating in the neck, lower back, shoulders, elbows, hips, ankles, knees, and more. Prolotherapy helps by supporting the natural healing process with a simple injection procedure that stimulates the recovery of tiny tears or injuries that might be found in the connective tissue within the musculoskeletal system (ligaments, tendons, muscle fibers, fascia, and joint capsules). Collagen is the main protein that provides structure to the skin and other connective tissues. Glycosaminoglycans and proteoglycans are the building blocks of cartilage and provide necessary cushioning for the joints. Inflammation is one of the main causes of pain in many musculoskeletal conditions and injuries. Prolotherapy offers a safe and natural intervention for chronic musculoskeletal issues without causing serious side effects. 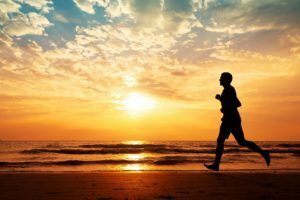 Prolotherapy is a revolutionary minimally-invasive technique that relieves pain by directly impacting the underlying condition that causes discomfort. Research studies show that more that 80 percent of people treated with prolotherapy report a good or excellent result regarding pain reduction. When ligaments or tendons (connective tissue) are stretched or torn, the joint they are holding becomes unstable and can become swollen and painful. Prolotherapy works as a regenerative injection therapy with the ability to directly repair at the point of injury and directly stimulate new collagen tissue, which results in improved stabilization of the joint and a reduction in pain. The prolotherapy method involves injecting an anesthetic and an irritant directly into joints, ligaments or tendons that have been injured or torn. This non-surgical method then initiates the body’s own healing processes, resulting in the gradual strengthening of connective tissue. As part of joint pain treatment, prolotherapy injections are targeted directly at the site of the injury. The treatment involves a series of injections, where patients receive anywhere from 3–7 injections depending on the severity of their injury. Injections are administered every 2–4 weeks over the course of several months in order to prime the body’s healing mechanisms and improve the longevity of treatment outcomes. Prolotherapy increases platelet-derived growth factors needed to initiate tendon repair, particularly in conditions like chronic Achilles tendinopathy. Spine pain can be caused by small tears and weakened tissue in the back that contribute to inflammation, reduced functional movement, bulging discs, and overall back pain. As a result of proliferative therapy, the activation of pain receptors in tendons or ligaments that are responsible for sending painful nerve signals are shut down, thereby reducing discomfort. In addition, by reducing the small tears found in the back that may be sensitive to stretching and compression, prolotherapy eliminates the direct source of back pain. Most shoulder injuries are a result of the rotator cuff being overworked through repetitive use or overuse and can benefit joint tissue rehabilitation like prolotherapy. Prolotherapy is a successful joint pain treatment for most shoulder injuries including chronic frozen shoulder, impingement, and arthritis. Most elbow and wrist injuries are sports-related. Not only can injuries like lateral or medial epicondylitis affect the elbow, it can cause subsequent pain in the lower spine, ligaments, and shoulders, and put people at risk of other injuries. Prolotherapy offers an effective joint pain treatment for the repair of lateral and medial epicondylitis, sprains, tendonitis, arthritis, and carpal tunnel syndrome. Prolotherapy is now being used to treat discomfort associated with common hand and foot injuries, which are caused by repetitive use and damage to the ligaments. These injuries can be triggered by everyday activities like typing, using a computer mouse, playing sports or standing for long periods of time. Musculoskeletal conditions can cause chronic pain in daily life and interfere with your ability to participate in day-to-day activities. For more information on the many advantages of proliferative therapy, contact Meier Orthopedic Sports Medicine by calling (310) 853-1029 to request a consultation with Dr. Meier today. 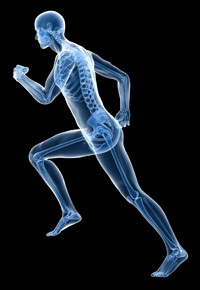 Next, read our blog, 3 Ways Stem Cell Therapy is Revolutionizing Hip Orthopedics.